The first half hour of Steve Adubato’s Leadership Hour is based on Steve Adubato’s most recent book, Lessons in Leadership, and will feature Steve, Mary Gamba, Steve's colleague from his leadership firm Stand & Deliver, and a variety of successful leaders, sharing relevant and practical leadership tips, tools and advice. These conversations are essential for leaders of all stripes looking to become more productive, strategic and impactful at work and at home. 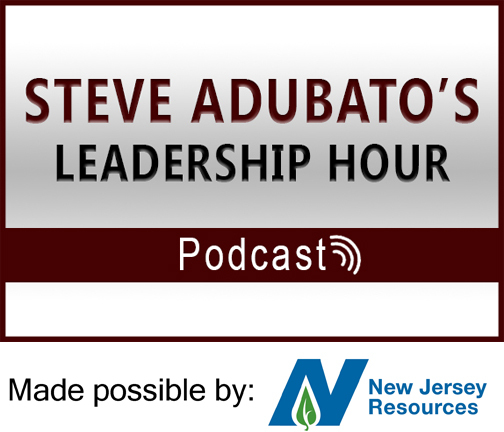 The second half of Steve Adubato’s Leadership Hour, featuring State of Affairs with Steve Adubato, a highly-acclaimed public affairs series also broadcast on public television, will explore the critical issues that impact New Jersey and the tri-state region through compelling interviews with leaders in state and federal government as well as business and non-profit sector leaders.